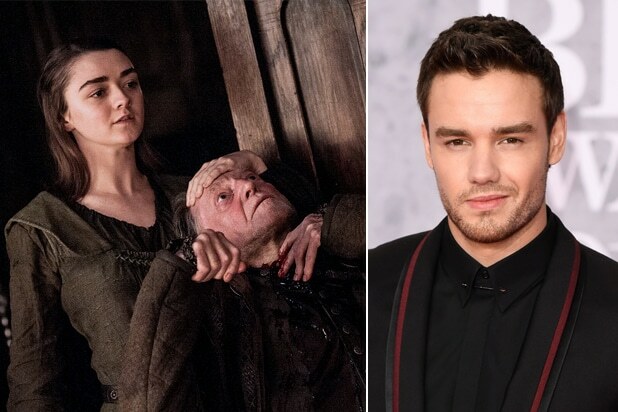 Singer Liam Payne is a little concerned after seeing an updated “kill list” that “Game of Thrones” star Maisie Williams tweeted Friday, and for good reason – he’s on it. The One Direction singer was — perhaps accidentally — named as one of the people that Williams’s character on “GoT,” Arya Stark, has sworn to assassinate. “Is this a kill list…should I be worried,” Payne tweeted at Williams Saturday. On Friday Williams tweeted, “joffrey, cersei, liam payne, the hound,” which, with the exception of poor Payne, is a list of names that Arya frequently recites to herself as those she wants to avenge — and she may very well do that by the series’ end. Joffrey is already dead, but Cersei and The Hound are still alive and kicking. Either that, or Williams really does not like One Direction. We all know Arya is an Ed Sheeran fan anyway. Williams has yet to respond to Payne’s question. See if Arya gets her revenge on Liam Payne when “Game of Thrones” returns on Sunday on HBO.